Yet another staffer from Sen. Maggie Hassan’s office is under investigation for hyper-partisan—and potentially criminal— behavior, the third such incident in less than a year. And yet again New Hampshire political observers are asking: What is going on inside the junior senator’s office? On Tuesday the Daily Caller broke the news that a second former Hassan staffer, Samantha DeForest-Davis, is under investigation over a partisan “doxxing” crime that already has another Hassan employee facing prison time. On April 5, former Hassan staffer Jackson A. Cosko pled guilty to five federal crimes, including computer fraud, witness tampering and obstruction of justice. Cosko, a partisan Democratic operative opposed to the Supreme Court nomination of Judge Brett Kavanaugh, attempted to use the private data of Republican senators and their children—data he collected via Sen. Hassan’s office—to threaten the senators over their votes on Kavanaugh’s nomination. 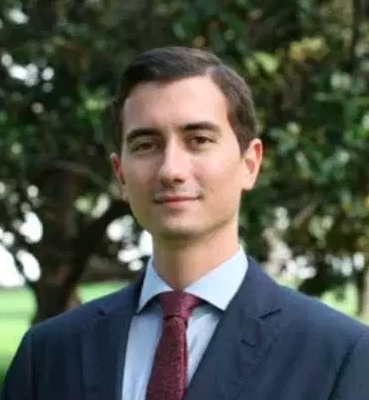 Hassan’s doxxing staffer Jackson Cosko. Kavanaugh was sworn in as a Supreme Court Justice on October 6. The new investigation involves DeForest-Davis’s alleged cooperation with Cosko in the scheme. According to reporting by the Daily Caller News Foundation, DeForest-Davis still worked in Hassan’s office at the time and gave Cosko her keys so he could access computers and equipment. She also allegedly agreed to wipe his fingerprints off the office equipment after the fact. Based on court documents, the Daily Caller reports, DeForest-Davis was spotted during the attempted wipe down and told Cosko she was unable to finish the job. The investigation is still ongoing, and though her LinkedIn page says she’s still on Hassan’s staff, it appears DeForest-Davis no longer works there. Senator Hassan has refused repeated requests for comment. The doxxing incident occurred just a couple of months after another high-profile incident of hyper-partisanship. A Hassan staffer was caught shouting “F*** you!” at President Trump as he walked through the Capitol building. The intern, 21-year-old Keene State student Caitlin Marriott, was investigated by Capitol Police, who then handed the matter over to Sen. Hassan. Despite calls from New Hampshire political leaders to fire the intern for a flagrant partisan attack on a sitting president, Hassan merely suspended her for a week. Later, the New Hampshire senator defended the foul-mouthed intern by attacking President Trump. “I think it’s really important to understand that this behavior shouldn’t be equated with the president’s destructive and divisive actions, like ripping health care away from people,” Hassan said at the time. Three staffers from one senator’s office engaged in high-profile partisans incidents in one three-month period? It raises questions about the culture inside Hassan’s office, and whether she’s promoting a climate of partisan activism that promotes this behavior.